This course consists of online eLearning on your own time, a one day classroom and pool session and two days of diving in open water (either 2 days on a boat or one day in Catalina and one day on our excursion dive boat - dive boat ticket is included in tuition) In this course, we begin at In2Deep for the class session and then head to the beautiful pool at the Santa Monica Swim Center, located at Santa Monica College, where you will learn to use basic scuba gear, including a mask, snorkel, fins, regulator, buoyancy control device and a tank, and get comfortable with the gear and breathing underwater. 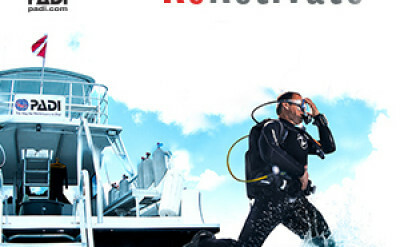 At the conclusion of this course, you will be certified to dive to depths of 60 feet. We include the online eLearning, class and pool session, free rental of the scuba gear (BCD, regulator, wetsuit, tanks & weights), 1 Catalina Express round trip ticket, 4 open water dives and your certification card. 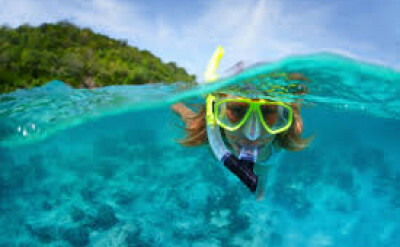 You are responsible for purchasing your mask, snorkel, fins, booties and gloves. Parking, meals and drinks, hotel accommodation, and gratuities are not included. 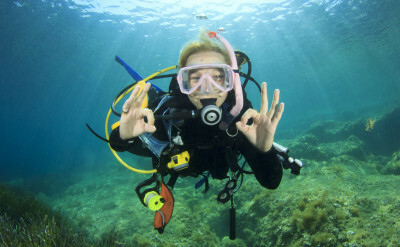 To participate in the Open Water Certification, you must be at least 10 years old. Minimum of 4 students required. Going on vacation and want to complete the online work and class and pool sessions prior to your trip? 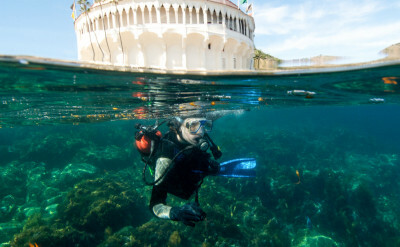 We have a PADI Outgoing Referral program where you will be ready to travel and do your 4 open water dives on vacation. You will pay the PADI dive store or resort for that portion of the class. We include the online eLearning, class and pool day and the paperwork required to take to the next instructor. TUITION: $350.00. To participate in the Open Water Referral Program, you must be at least 10 years old.